Import permits are mandatory for all road vehicles imported to Australia. There are a variety of different import permits available for different types of cars, unfortunately not all cars can be imported to Australia. 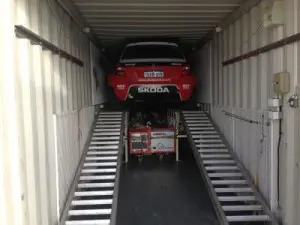 Below is a list of the Vehicle Import Permits available, please read carefully before you make any purchase and prior to shipping your car to Australia. The two most common schemes used are to assist people who are migrating to Australia to bring their vehicle, and also for classic historicial manufactured prior to 1989. Migrating to Australia – if you are migrating to Australia the government has put in place an Import permit specific for your situation. As long as you have lived overseas and owned your car for more than 12 months to be eligible under the Personal Import Scheme and you can only import one vehicle every 5 years. Enthusiast Cars – SEVS permits is for Enthusiast cars, only certain cars are approved on the SEVS list which you can find out if your vehicle is already approved on the RAWS Australia website. If its not approved already you can apply to the RVCS to have make & model of the vehicle you are wanting to import to Australia added to the list. New cars and any vehicle manufactured post 1989 – Any vehicle manufactured after 1989 which is not eligable for one of the other import permits available is required to get complied to Australian standard by a RAWS approved workshop. The RAWS Workshop must issue you the Import permit and handle the conversation to Australian Standards. Off Road Vehicles – Vehicles not designed to go on public roads still require a permit for Australian Customs to gain clearance into Australia. The vehicle must be for designed for off road use and can never be registered for use on public roads in Australia. Temporary Imports – For Temporary Importation you must have a Carnet de Passages. The car must not be sold in Australia and must be re-exported back to the originating country within 12 months. You will also have you pay a bond or have a bank guarantee covering the import taxes for Customs. Additional Import Permits – There are also several other discretionary vehicle import permits for exhibitions, military forces, special purpose vehicles and repairs available. Please contact us for any further advice or information. Left Hand Drive Vehicles – The same Import Permit schemes above apply to left hand drive cars as for right hand drive cars but only cars older than 30 years can generally be registered as a left hand drive vehicle in most states of Australia. What Import taxes apply to cars Imported into Australia? The only exemption is vehicles that are solely designed for people with a disability. Does quarantine need to inspect my vehicle? All used cars and vehicles are subject to a mandatory Australian Quarantine Inspections. All vehicles must be clean and free of quarantine risk material prior to arrival in Australia to avoid quarantine cleaning upon arrival. If your import car or vehicle is found to have quarantine matter by the quarantine officer it will be directed to quarantine cleaning. This can involve steam cleaning/high pressure cleaning, disinfecting and vacuuming which is all at the importers cost. Below are some links for further information. If you have any questions please do not hesitate to contact us. Hi I’ve found a car in Illinois USA and want to import it to Sydney. What would be the cost of this. It’s a 1968 Dodge Charger project. All the parts are not on the car also. Kind regards Paul. Hi Paul, we’ll get back to you with the quote soon, thank you for your patience! Hi, I would like to purchase a used motorhome (2013) in the UK and import it to Australia for personal use. Am I permitted to do this? Hi Adam, let us get back to you shortly to this question! Hi Adam, some motorhomes are possible to import from the UK, other are not and we need to know the make / model to confirm it is eligible for import. I am looking at purchasing the 2016 Ford Mustang Shelby 350GT R. Do you think I could import this car to Australia without major hassles and what might shipping costs by from California.